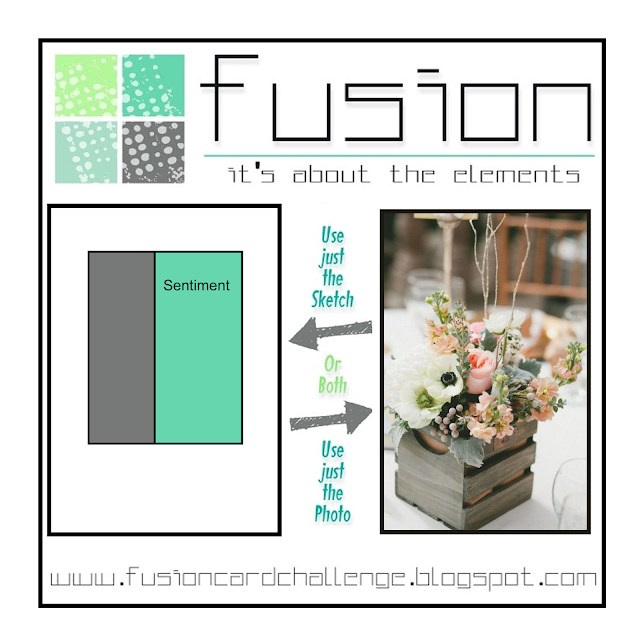 The weeks of summer keep rolling by so quickly and it's time once again for a new Fusion Card Challenge. 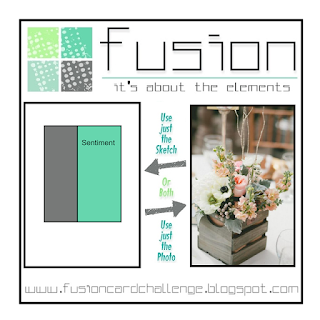 We have a rustic floral photo to inspire you as well as a new sketch. It's up to you...use one or the other or use both. I used both! I was inspired by the soft florals, colors and the barnwood container in the photo which led to me using some older patterned papers from my pretty significant 6x6 stash - My Mind's Eye "Bramble Rose" pad. I used Stampin' Up's Woodgrain embossing folder to add some rustic texture. I didn't want a stark black for the the flower pot, so used Reverse Confetti's "Lead" ink pad. The card base is Stone cardstock by Reverse Confetti. 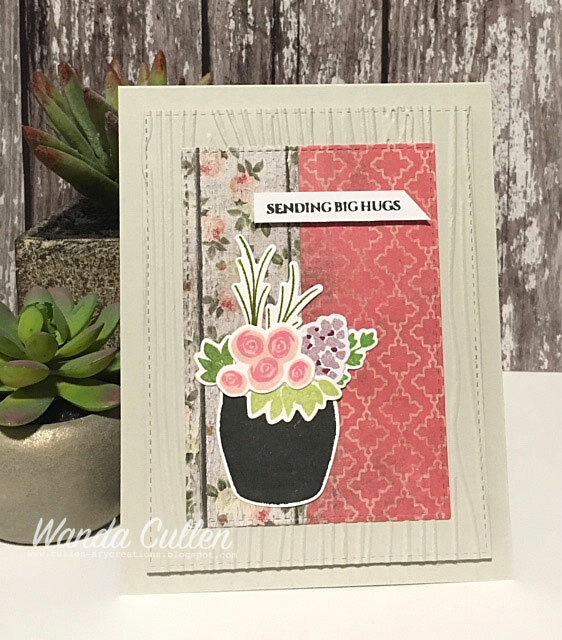 Beautiful card, Wanda, and such gorgeous patterned papers - just perfect for this challenge!